Recently, many people have been asking me how I lost 10 pounds. With a busy schedule and a sweet tooth, it’s not always easy! I have been working towards developing a program to help my patients on their journey towards a healthy figure, and I’m finally ready to share my secret with you. Here at BioBalance Health, we are beginning the BioBalance Health Medicated Weight Loss Program! For most of my patients, hormone balance is the first step to a muscular-yet-slender body. It is evident in my patients that without testosterone replacement, no program of any kind will work to shed fat after the age of 40. However, sometimes testosterone is not enough to bring you all the way back to your youthful body. This new fat loss plan is exactly what I did to lose the last remnant of fat! 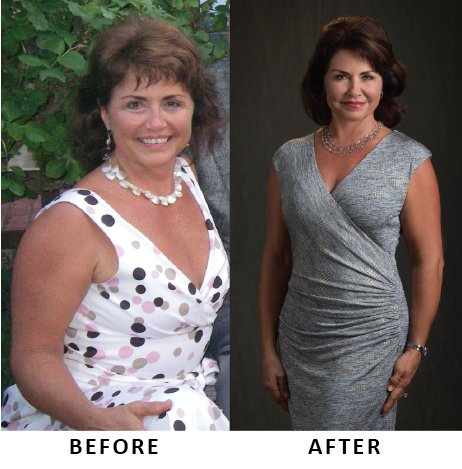 Many programs inadvertanly cause muscle loss along with weight loss; I wanted to distinguish my program from all the other medical weight loss clinics by focusing on fat loss: because that is what we want to lose! Weight gain is one of the most stressful challenges that women have, yet there are very few over-the-counter fat loss solutions that really work. Hormone replacement increases muscle and bone, and decreases fat, but sometimes we need a little extra push to get to our optimal weight. That is why I spent the last two months developing this very unique program, which includes weight loss drugs, a personalized eating plan, nutrition supplements that promote weight loss, hormone balance, and exercise monitoring: all provided in a series of consultations with my nursing staff. We also offer options for genetic testing that identifies the supplements you need given your genetic makeup. These tests also identify any diseases for which you are at risk if you are obese, and for genetically-determined behaviors such as “the snacking gene.” In some patients, these revelations can be significant to the loss of fat and the maintenance of healthy body mass. Depending on your medical and family history, your habits, and the amount of fat you want to lose, we will choose the right weight loss drug for you. My approach in designing this plan focuses on efficiency, promoting good health, excellent outcomes, and individualization, all in the most economical way. I strongly believe our plan will make a difference for you, it certainly has for me! Our goal at BioBalance is for all of our patients to be balanced, beautiful, and at their healthiest weight! To find out more or to make an appointment for our BioBalance Health Medicated Weight Loss Program, call 314-993-0963.